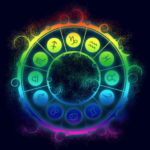 Joyce Van Horn is consistently one of the top-ranked astrology practitioners on Yelp in San Francisco. For more reviews, please visit her Yelp page. Plus an interview with Peephole Magazine.